Many aspiring adventurers find that planning a trip is the hardest part. At Healing Waters Lodge, we’ll gladly take care of all the details of your Montana fly fishing expedition. We have loaner equipment available for our guests at the Lodge or on the Smith. Please contact Mike Geary at 406-459-2030 to inquire. SMITH RIVER floats: Add the following list of items if you are floating the Smith River with us. 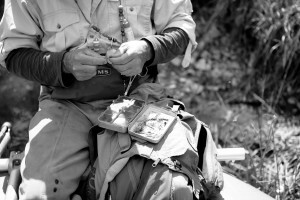 Preparation and safety are key to having a successful fly fishing trip. If you have any questions about fly fishing gear or fly fishing in general, feel free to call Mike Geary at Healing Waters Lodge of Twin Bridges, Montana at (406) 459-2030.